In our curiosity around the potential of the Internet of Things, we’re keeping our eye on a product called Lapka, set to launch next month. 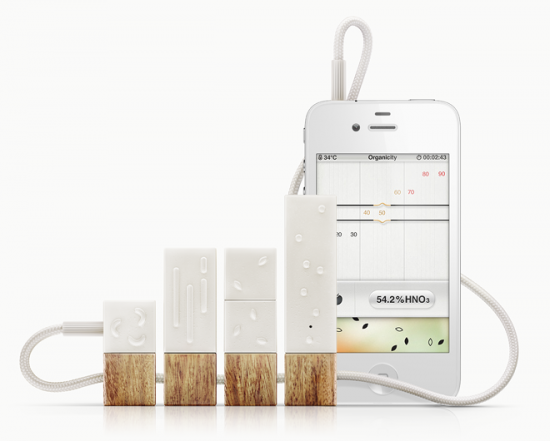 The Lapka system is a series of really pretty-looking white and wooden blocks that let you measure certain invisible aspects of your environment and visualize them through a mobile app by plugging them in to the headphone jack of an iPhone. 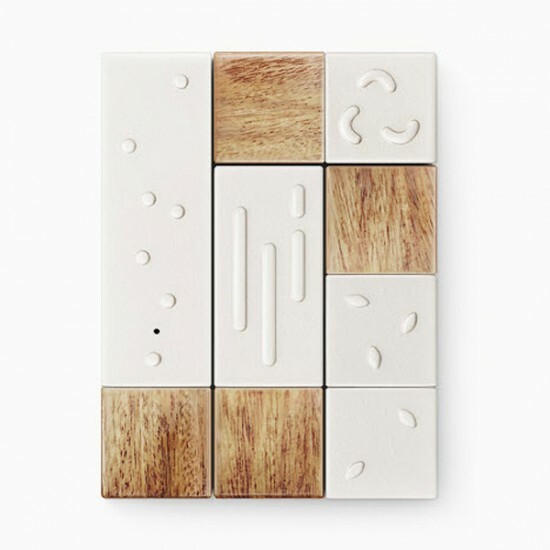 By December they plan to offer the blocks for sale as individual pieces, or as a set, giving people the ability to measure four key aspects of the environment. It will be interesting to see how the app interface slices and presents the data to provide meaningful information. We also wonder if visualizing and quantifying invisible environmental factors like EMF and radioactivity will make people more concerned about changes in their surroundings or more involved in environmental activism. Lapka coupled with a service like If This Then That could also allow for interesting sets of triggers (public twitter alerts, targeted emails or even appliance controls) based on changes in measured data.